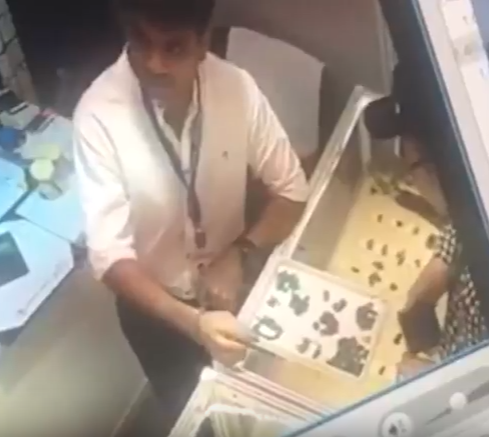 Two Chinese nationals who had stolen a diamond worth Rs 34 lakh from a gemstone expo in Goregaon on Monday were caught at Mumbai airport minutes before they were to fly out of India. The thieves were waiting for the flight to Hong Kong and Osaka via Delhi. The case saw unusual coordination among various agencies from security heads to immigration and airport authorities could be cracked only around midnight. The police after a lengthy interrogation carried out with Mandarin interpreter, recovered the 5.4-carat diamond from a tiny shampoo bottle that had been packed into a small handbag. The India International Jewellery Show-2017 held at Bombay Exhibition Centre in Goregaon from July 27-31. Entry to the venue was restricted. “An advanced online booking had to be made, with tickets per head being as high as Rs 9,000. The event was not for retailing,” said a senior police officer. Cellphone apps were helpful as the duo’s photographs and other details were quickly shared among the agencies involved. “The show is a very prestigious event for India. The diamond’s recovery was very important,” said Central Industrial Security Force (CISF) director general O P Singh. Around 3.45pm on Monday, the Gem Jewellery Export Promotion Council (GJEPC) informed the CISF that one of the exhibitors, P Kirthilal and Co, had reported a diamond theft. It said two Chinese nationals (Jiang Changquing, 47, and Deng Xiaobo, 45), under the pretense of striking a deal, had, with sleight of hand, replaced an original diamond with a fake. Soon, the duo’s details were circulated on WhatsApp and a hunt began. Then CISF senior commandant Himanshu Pandey and his team found on CCTV footage that the Chinese men, one in a red shirt and the other in a full sleeve shirt and hat, had left the premises at 3.25pm. 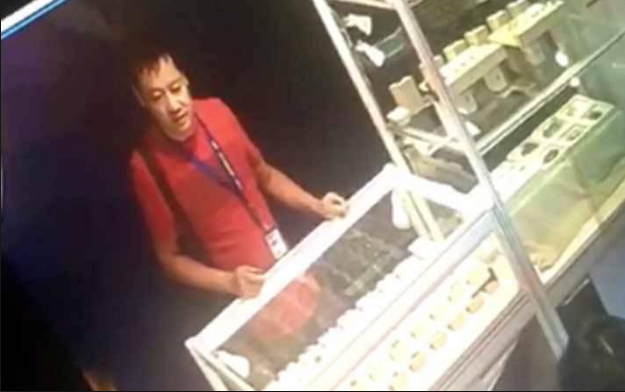 According to the CCTV footage, the duo spent around two hours at the stall from where they stole the diamond. The CISF was having to choices, to head for duo’s hotel or the airport. However, they chose the airport. “On the way, information on the duo was sent to DCP Supriya Yadav, who heads the foreigner regional registration office (FRRO), and the chief airport security officer (CASO), KN Tripathy, with a request to prevent the duo’s exit through immigration once they reached there,” said a CISF official. “The CISF and immigration team rushed to the security hold, where the duo was apprehended. The two didn’t have any check-in luggage. All they had were two small shaving kit-sized bags,” said Singh. Meanwhile, the two had changed their T-shirts. They were asked for a search and the officials found no diamond with them. The two didn’t speak English. 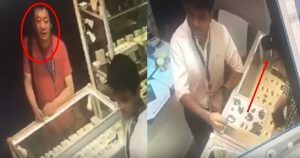 They were taken to Vanrai police station, Goregaon (East), where a complaint of theft was filed by the diamond company. The CISF, meanwhile, went through the expo venue’s CCTV footage again, suspecting the involvement of a third person. After seven hours of interrogation, the police found the diamond in a 5 ml shampoo bottle from their luggage. They were taken in custody and the Chinese consulate has been informed of the arrests.